By all appearances, rabbit could be the food of the future. Three years ago the couple’s Marin-area Devil’s Gulch Ranch had 250 breeding females, or does, a number that has since quadrupled to 1,000 and makes them one of the largest meat rabbit producers in the United States. At any one time, they have 9,000 rabbits, with 300 to 500 slaughtered every week for regional grocery stores and restaurants, including French Laundry, Chez Panisse, and Zuni Café. A single doe will have multiple litters every year, and those litters will reach breeding age within months; that means a rabbit can produce six pounds of meat on the same amount of feed and water it takes a cow to produce just one pound. Camas Davis, founder of Oregon’s Portland Meat Collective, says she has been surprised at rising interest in eating rabbits, so much so that she introduced a rabbit slaughter and butchery class in 2011. In that class, which is $145 and run every few months, students learn how to raise, kill and butcher their own animals. Like all prospects of panacea, there’s a catch: farmers have yet to figure out a way to produce rabbits on an industrial scale, which means that getting them into grocery stores, whether consumers want them or not, remains problematic. The result? This food of the future may have to wait. Cut the rabbit into eight pieces by removing the legs and splitting the saddle in half. Season the rabbit with salt. Toast the allspice berries in a dry skillet and grind them coarsely with a spice grinder or with a mortar and pestle. Rub the allspice onto the rabbit with the black pepper. Place the meat into a flat-sided non-reactive container and top with the herbs and bay leaves. Cover with another container and weigh it down. Refrigerate overnight. The following day, transfer the rabbit into a clean pan, brushing the herbs and loose spices from the meat. The pan should be just big enough to contain the rabbit, with sides that are deep enough to allow it to be covered with fat. Heat the duck fat to 180º and pour it over the rabbit, make sure that it comes just to the top of the rabbit. Cover tightly and place into an oven preheated to 250º. Check the rabbit after one hour, it should not be bubbling rapidly. Check the rabbit every hour after to make sure that it does not get too hot. It is done when the meat pulls from the bone easily (about 3-4 hours). Remove the meat from the fat with a slotted spoon and pick the meat from the bone. Shred the meat with your hands and, in a mixing bowl, add in enough fat to get a creamy texture. Pack into sterilized jars and cover with a thin layer of fat. 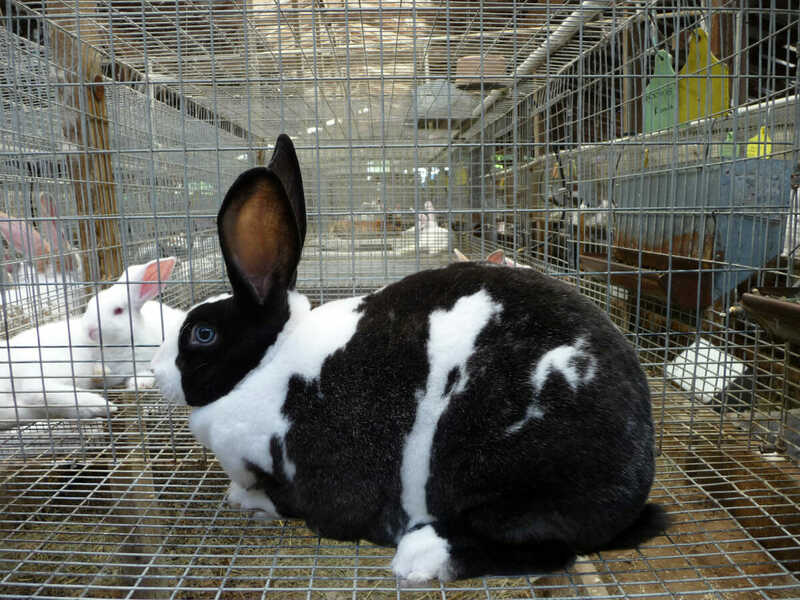 Looking for information on companies that buy rabbits on the hoof and process in my area Dade City Florida or methods of shipping to such processors etc.